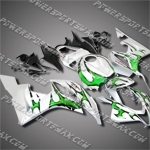 Welcome to our Motorcycle Fairing Body work section! 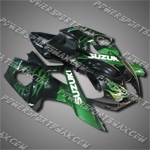 You will find the thousands Style of SUZUKI Fairings, Honda Fairings, Kawasaki Fairings, Yamaha Fairings here. 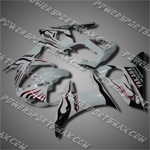 Our Motorcycle Fairing body work are of the highest quality in the market. 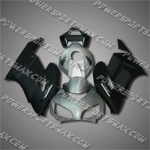 They are designed and tested by our expert customers before they come in the market! We stand behind our Fairings 100%! 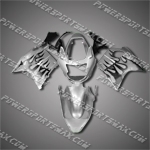 Fairing For 2003 2004 2005 YAMAHA YZF R6 Plastics Set Body Work Injection Mold, Free Shipping! 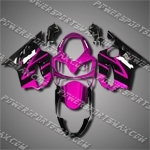 For CBR600F4i 04-07 Rose Black ABS Fairing 64N26, Free Shipping! 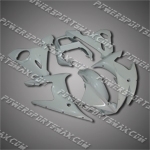 Fairing For 2003 2004 Suzuki GSX-R GSXR 1000 K3 Plastics Set Injection mold, Free Shipping! 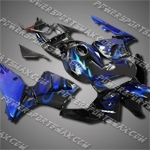 Injection Molded Fit CBR600RR 07 08 Blue Flames Fairing ZH5734, Free Shipping! 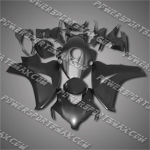 Fairing For 2007-2008 Suzuki GSX-R 1000 K7 Plastics Set Injection mold, Free Shipping! 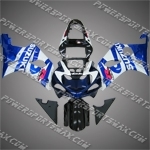 Injection Molded Fit CBR600RR 05 06 Flames Black Fairing ZN702, Free Shipping! 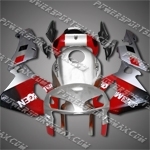 Injection Molded Fit CBR600RR 05 06 Silver Red Fairing ZN233, Free Shipping! 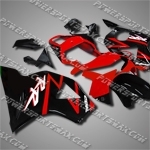 Fit CBR1100XX Blackbird 96-07 Red Black ABS Fairing 11N15, Free Shipping! 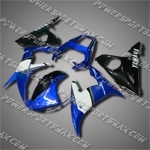 Fairing For Suzuki 2003 2004 GSX-R GSXR 1000 K3 Plastics Set Injection mold, Free Shipping! 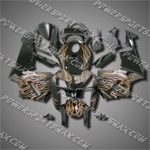 Fit CBR1000RR 08-11 All Flat Black ABS Fairing 18N49, Free Shipping! 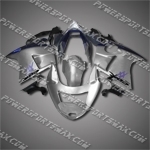 Fairing For 2001 2002 2003 Suzuki GSXR 600 750 K1 Plastics Set Injection Mold, Free Shipping! 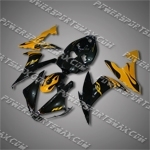 Fairing For 2004 2005 2006 YAMAHA YZF R1 Body Work Plastics Set Injection mold, Free Shipping! Fit CBR1100XX Blackbird 96-07 Blue Silver ABS Fairing ZN897, Free Shipping! 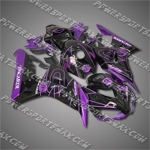 Injection Molded Fit CBR1000RR 06 07 Purple Black Fairing 16N50, Free Shipping! 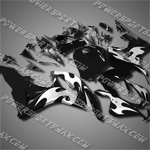 Fit CBR1100XX Blackbird 96-07 Black Flames Fairing ZN593, Free Shipping! 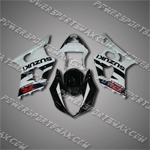 Injection Molded Fit CBR1000RR 04 05 Silver Black Fairing ZN770, Free Shipping! 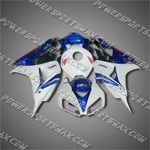 Injection Molded Fit CBR1000RR 06 07 Blue White Fairing ZN675, Free Shipping! 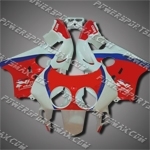 For CBR250RR MC22 90-99 Red White ABS Fairing Set ZN891, Free Shipping! 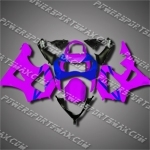 For CBR929RR 00 01 Purple Blue ABS Fairing ZH623, Free Shipping! 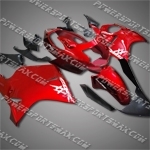 For CBR954RR 02 03 Red Black ABS Fairing 95N26, Free Shipping! 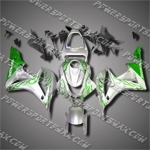 Injection Molded Fit CBR600RR 07 08 Green Flames Fairing 67N18, Free Shipping! 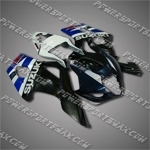 Injection Molded Fit CBR600RR 07 08 Flames Black Fairing 67N34, Free Shipping! 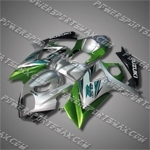 Injection Molded Fit CBR600RR 07 08 Green Flames Fairing ZH575, Free Shipping! 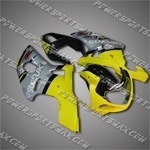 Injection Molded Fit CBR600RR 05 06 Yellow Black Fairing ZN1047, Free Shipping! 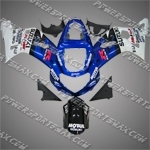 Injection Molded Fit CBR600RR 05 06 Flames Blue Fairing ZN832, Free Shipping! 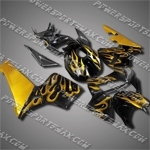 Injection Molded Fit CBR600RR 05 06 Gold Flames Fairing 65N05, Free Shipping! 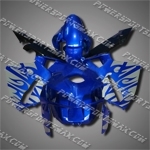 Injection Molded Fit CBR600RR 05 06 Blue Flames Fairing 65N03, Free Shipping! 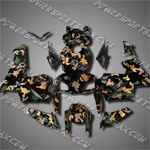 I was not sure about buying aftermarket fairings. But these fairings are the BEST fitting, looking and value out there. Shipping was extremely fast an ..